The Maui Matsuri Business Award is awarded annually to a business that participates and supports of the mission of the Maui Matsuri which is to preserve and perpetuate the Japanese culture here on Maui. 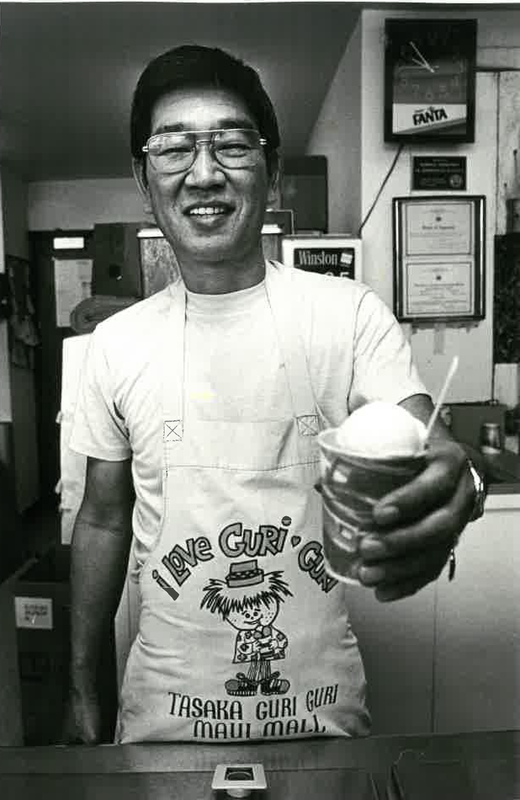 Tasaka Guri Guri has been delighting Maui residents and visitors with its enjoyable cross between ice cream and sherbert for over a century. Its recipe, which is a closely guarded family secret, started with Jokichi Tasaka shortly after his immigration from Japan in the early 1900s, but his son Gunji is actually the creator of the secret recipe and branded it with the name we know it by today. As a play on the word “good” and “goodie goodie,” this well-known Maui treat certainly fits its name. 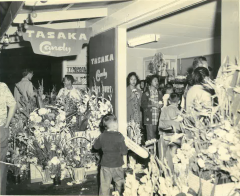 Initially known as Tasaka Confectionary, Jokichi first opened his business near the railroad tracks in Kahului and featured traditional Japanese treats such as senbei (Japanese crackers), mochi, and yokan (sweet bean cake). 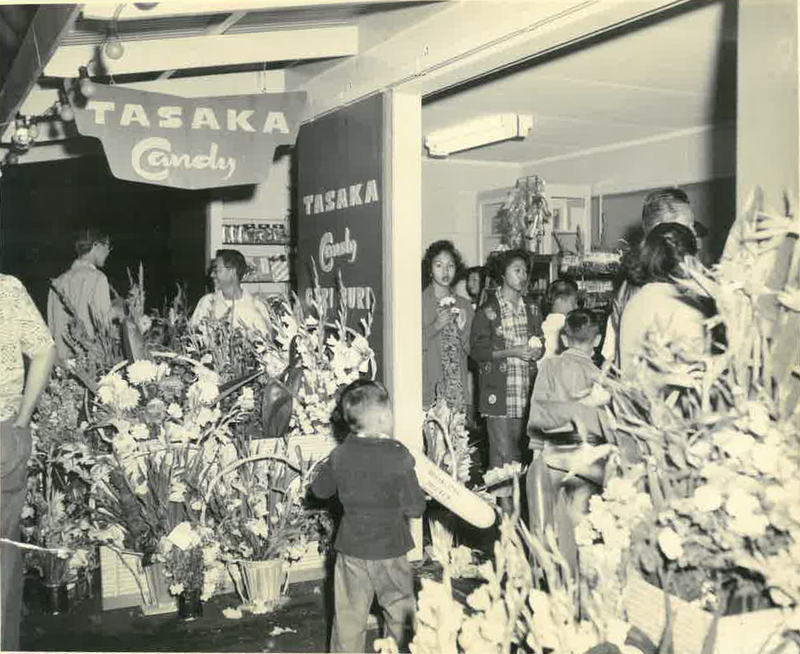 In the 1950s, the business relocated and was renamed Tasaka Candy and Guri Guri Shop to become one of the first stores established at what is now Kahului Shopping Center. Finally, the family moved the business to its current location at Maui Mall, where they have been a local fixture for over 40 years. Originally, all the Guri Guri was mixed by hand in large canisters. These days, they do the work using mixing machines that help them produce 40-50 gallons of Guri Guri each day. 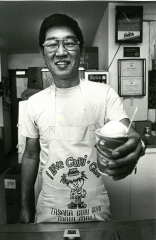 Those who have frequented their store over the years may remember the many changes that have occurred – including a time when customers were offered azuki beans over their Guri Guri free of charge. 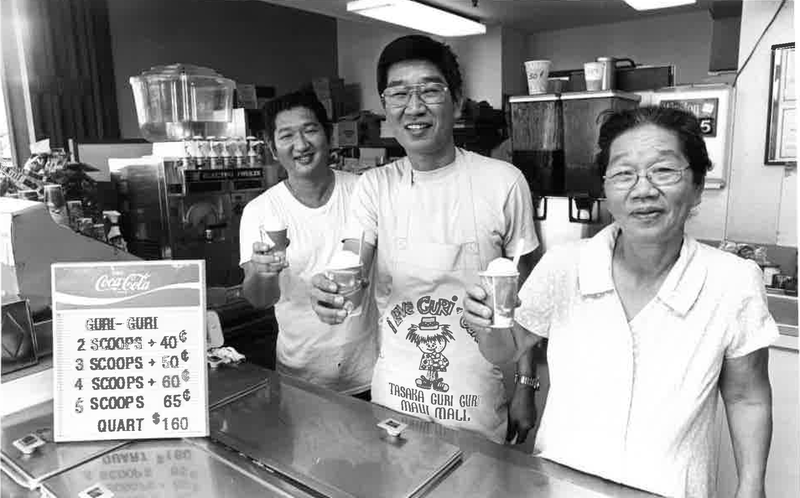 Now well into the 21st century, the secret family recipe has passed through four generations, most recently from Gunji’s sons Setsuo and Henry Tasaka to Henry’s daughters Cindy and Gail. And many generations of Maui residents and visitors are happy that they continue the family business. Over 115 years ago, Mitsuzo and Ayako Nagasako came to the islands to work in the sugar cane fields of Maui. 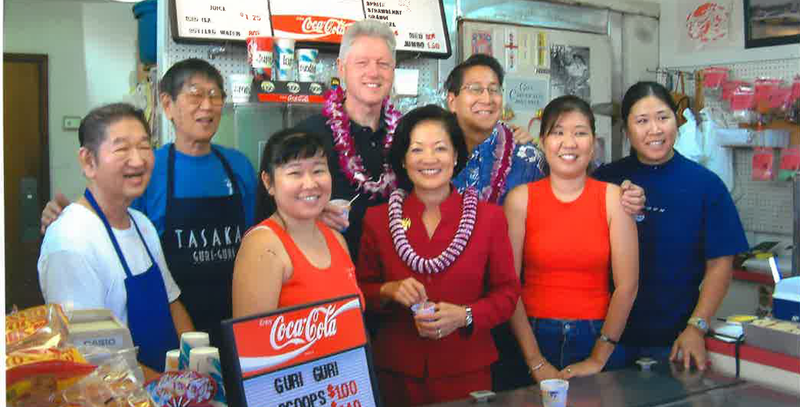 They opened their first retail establishment, a candy shop, on Lahainaluna Road to generate extra income, utilizing Mitsuzo’s previous experience in Japan as an apprentice candy and cracker. In addition to selling from their storefront, the couple even delivered treats to central Maui. The Maui Matsuri Business Award is awarded earch to a local business for their participation and support of the mission of the Maui Matsuri which is to preserve and perpetuate the Japanese culture here on Maui. We truly appreciate that you have taken the time to nominate a deserving business for this award. Your nomination has been received and will be considered, along with other nominations, for this award. Again, thank you very much for the nomination. Maui Matsuri is proud to present its 2016 Maui Matsuri Business Award recipient: HouseMart Ace Hardware and Ben Franklin Craft Stores. HouseMart began its story here on Maui over 65 years ago with Shikano Kamitaki’s small local dry goods store K. Kamitaki Store.